Cookie Cupcakes! Welcome to day 2 of our 12 Days of BBQ Ideas. Today we have a Cookie Cupcakes recipe with cookie dough icing! Yum! I love summer cookouts. It’s a great time to hang out with friends and family and eat some delicious food. I know I am always searching for “foods to bring to a BBQ” when we have a party planned so I hope these 12 days of BBQ recipes will give you some good ideas. Today’s recipe is for a delicious cupcake. The cupcake is like a peanut butter chocolate chip cookie and the icing taste like cookie dough! It doesn’t get much better than that! 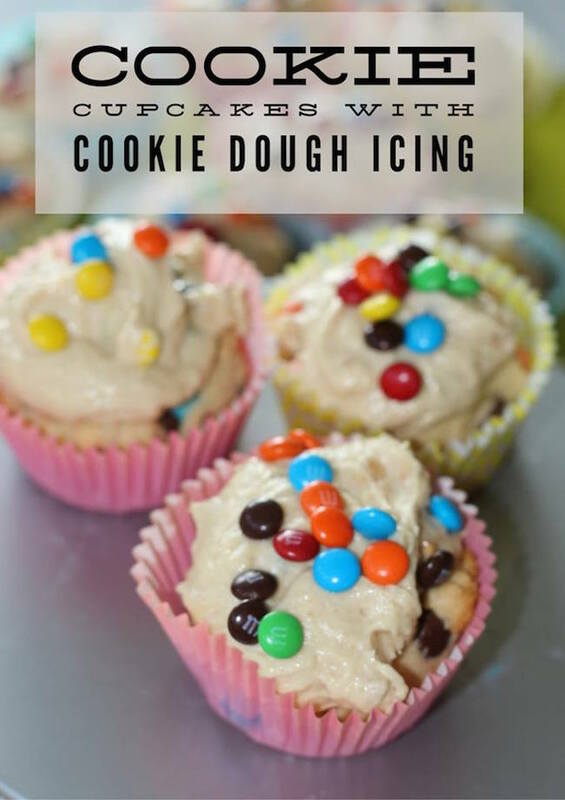 So head over to SavingYouDinero.com to check out this yummy recipe for Cookie Cupcakes with Cookie Dough Icing that is sure to be a hit! And before you go, be sure to check out the other recipes in our 12 Days of BBQ Ideas series in the linky below. So much yum!